Note: I wrote this even before Tiger Woods finished second and 5th in the past two weeks, while Rory McIlroy notched a victory…. As the PGA Tour returns to its accustomed March sojourns in Florida, its season is shaping up to be a second consecutive dance of high drama, with the most intriguing conglomeration of great plotlines in 40 years. The Tour’s young guns are blazing, its mid-career stars at peak brightness, and its 40-something legends resurgent. Forty-seven-year-old Phil Mickelson’s playoff win in Mexico last weekend over 2017 Player of the Year Justin Thomas was as rollicking a drama as any non-major tourney you’ll ever see — and The Masters looms, one month from now, as a potential battle for, and of, the ages…. [Later in the column:] So here’s where the 2017-18 wrap-around season stands so far. Three players — Thomas, Johnson, and Jordan Spieth — entered as top reigning contenders for world golf supremacy. Two others, Spain’s Jon Rahm and Japan’s Hideki Matsuyama, were knocking on the door of the same, but lacking major titles. Two others, Rory McIlroy and Jason Day, were former World Number Ones in the absolute prime of their careers. Two more, Garcia and Mickelson, were established stars for two decades (or more) who clearly aren’t ready to give up the fight. Bubba Watson, still just 39, is still Bubba Watson. 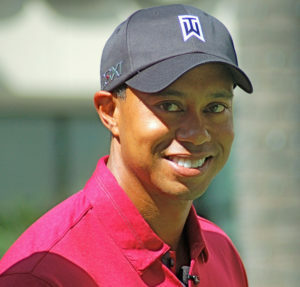 And Tiger Woods, finally, finally, looked fit enough again to make a comeback…. Day has notched a win and a T-2 in two starts. Rahm also has a win and a second. Johnson has notched a win, a second, a 7th, and a 16th. Watson has a win. Mickelson has three other top-6s just since Feb. 1 to go with his Mexico victory. Thomas — who I think has the single best swing I have ever seen in nearly five decades of watching golf — continues to be otherworldly, with two wins and a second. Garcia, as noted, is back on the prowl….